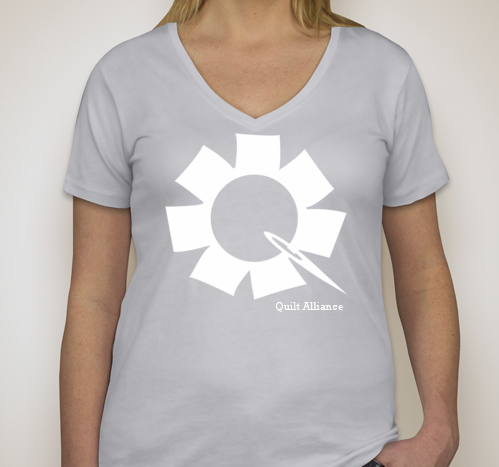 This lightweight v-neck ladies-cut t-shirt will become one of your favs. Our striking graphic logo represents the coming together of quilts and stories in a circle of community. 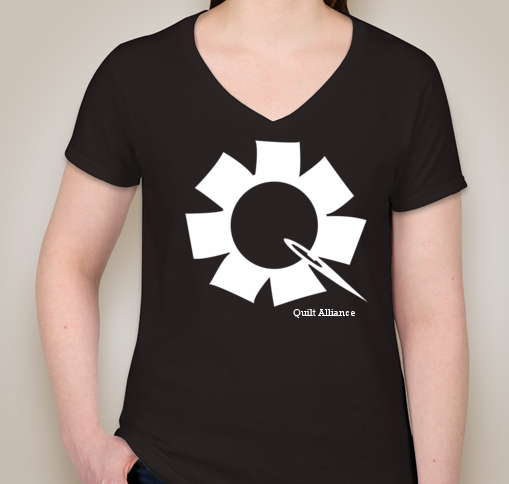 Purchase a shirt to show your support of the QA, but also if you want to look cute as all get out! These all-cotton tees shrink less than a standard-weight tee, and the silver color is slightly smaller in size than the black (but probably not enough to go up a size).